Today I have a fun shape card for you! I got a Silhouette Cameo a few weeks ago and have been playing around with it. KI Memories have lots of awesome shapes and pintables in the Silhouette shop and today I am featuring one, I hope you like it! Red Button – Doodle Bug: Ladybug garden. 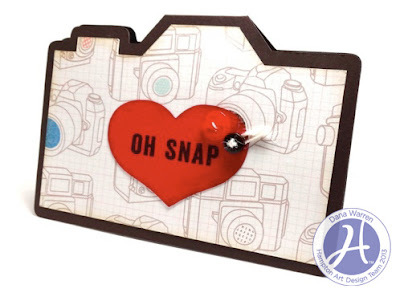 Cut camera from brown cardstock. Cut camera front pattern paper and white cardstock. 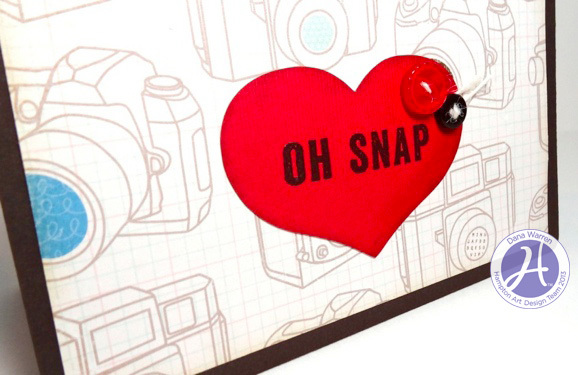 Cut heart from red cardstock. Ink edges of camera front with Putty ink and ink the heart edges with Dark Cherry ink. 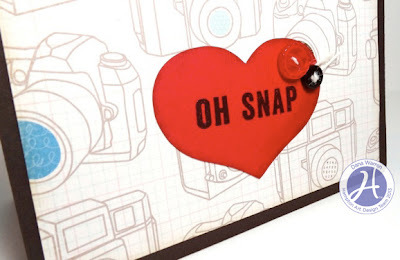 Adhere camera front and heart. 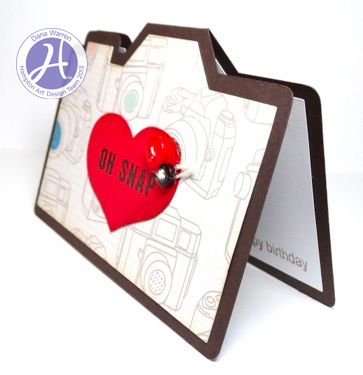 Stamp and emboss Oh Snap sentiment. Add twine to buttons and adhere to card front. 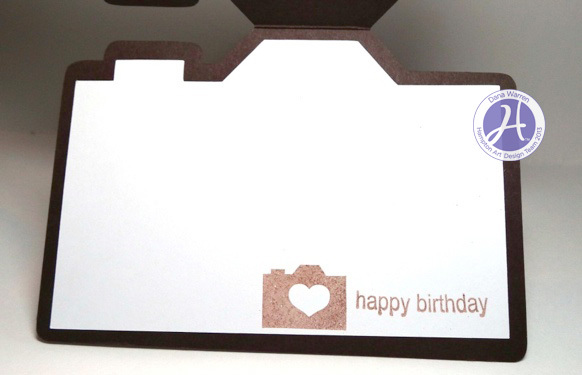 Adhere white camera front to inside of card. Stamp camera image and Happy Birthday sentiment.